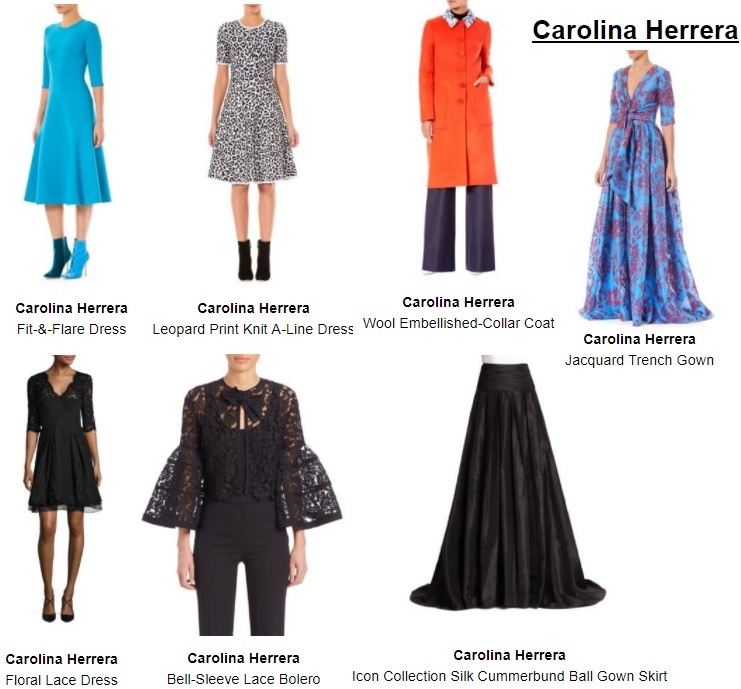 We think you may like to review some of the Carolina Herrera fashion collection. The challenge is that Saks Fifth Avenue has only a limited supply. If you are interested in trying on any of these items, we suggest you visit Saks sooner rather than later. They may be running low on some of these fashion pieces. You can shop for the above Carolina Herrera fashion items while supplies last at Saks Fifth Avenue. By the way, Halloween is around the corner. If you live in a relatively chilled climate, the Carolina Herrera wool embellished-collar coat would be a perfect coat for walking the kids around town for Halloween. Orange is a great Halloween color. A statement coat in luxurious Italian wool. This knee-length style is detailed with eye-catching embellishment at the collar. This coat would be great for trick-or-treating as well as the rest of the fall/winter seasons. You can also learn about other women's coats if you are not 100% thrilled about the choice we suggest above. If you like our idea of choosing an orange coat for Halloween, you may want to also visit our orange coats page for further research. Obviously, you should also go to the Saks website or retail store locations because they most likely have other orange coat options as well. Learn more about fashion designer Carolina Herrera. Thank you for taking the time to read this fashion blog post. We hope that you have found this fashion blog post to be enjoyable. You can find today's fashion news if you care to further explore today's fashion news releases.